Local Government and Community Development Minister, Hon. Desmond McKenzie (centre), is shown an aspect of the plans for the reconstruction of the Port Maria Market in Central St. Mary by Member of Parliament, Dr. Morais Guy (right), during a tour of the facility on Tuesday, November 15. Others looking on include Superintendent of Roads and Works at the St. Mary Municipal Corporation, Garfield Thompson (left); former Port Maria Mayor, Councillor Richard Creary (3rd right); and current Mayor and Municipal Corporation Chairman, Councillor Leevan Freeman (2nd right). The Port Maria Market in St. Mary is to be reconstructed at a cost of approximately $68 million. Local Government and Community Development Minister, Hon. Desmond McKenzie, who made the announcement, said the new facility will be a two-storey structure that will accommodate vendors on the ground floor and commercial enterprises upstairs. “As soon as we have concluded all of the paperwork we will commence, because we want this market to be completed as early as possible. I am hoping that the market, when it is finished, will be able to do the kind of things for the town that the present location cannot,” he added. He indicated that the project will be financed through the Equalisation Fund, which is administered by the Ministry. 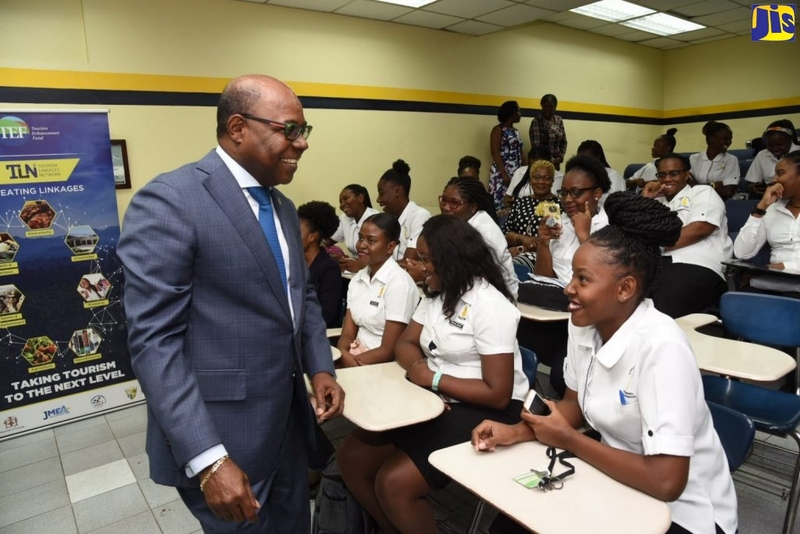 The Minister was speaking at a special stakeholders meeting at the St. Mary Municipal Corporation’s offices in Port Maria on Tuesday (November 15). Mr. McKenzie said the project tender document is being reviewed by the National Contracts Commission (NCC) and on completion will be submitted to Cabinet for approval. Mr. McKenzie instructed the Chairman of the St. Mary Municipal Corporation and Port Maria Mayor, Councillor Levan Freeman, to immediately commence the temporary relocation of the vendors using the market. Mayor Freeman welcomed the announcement, noting that the facility has deteriorated significantly, which poses a challenge for vendors and customers. He noted that many of the vendors have abandoned the market and are plying their wares on the sidewalks and at other locations. “The town of Port Maria eagerly awaits (this) endeavour because the persons who ply their wares on the streets claim that with a new market, they would have somewhere substantial to (sell) their goods,” Mayor Freeman said.